What fruits to eat in diabetes ? Blueberries, blackberries, strawberries etc. all berries are rich in antioxidants, vitamins and low in carbohydrates. Peaches are rich in vitamin A & C , Potassium and fibre. Apple a day keeps doctor away. Apples are rich in fibre, vitamin C & low in carb. Don’t peel the skin as it contains antioxidants. Oranges are great in vitamin C, low in carb, contains potassium and folate, other citrus fruits like grapefruits are also equally good to eat. Pears good in potassium and fibre. Other fruits like apricot , guava are also rich vitamin A and good to eat . Eating Fruits before meals helps you to loose weight & control your blood sugars. Making a habit of it helps a lot to obese individuals and known diabetic people. 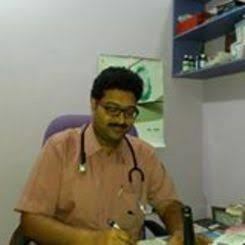 Disclaimer: The articles/blogs/write-ups uploaded in this Virtual Practice are copyrighted property of Dr. Jayakrishnan B and/or its associated team users. Copying, reproducing, modifying or disseminating the posts (in whole or part) in any form, media, or technology now known or later developed, including for promotional and/or commercial purposes, and to authorize others to do so, is strictly prohibited.